The new 2019 GMC Acadia is sure to take the market by storm. It seats up to seven passengers, and offers a solid driving experience. This newest version is akin to a crossover SUV given it's reduced sized, but offers plenty in trim packages that will continue to make it's popularity soar. Which New Trims Are on the Table? 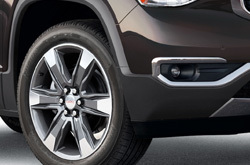 The 2019 Acadia black edition is available on SLT trims and some 20 inch machined aluminum wheels. No matter the color of the model, the new special edition model Acadia is also characterized with some wide range of trim that adds value to its billing. It also has a grille insert that has been darkened. Another important feature is its black surround and this is a feature that is stylistically consistent with its black mirrors cap and its trim badging. Its blackened roof rails are tailor-made to fit the requirements and the taste of the client. 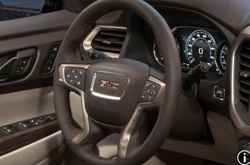 The Acadia 2019 model interior design has almost the same features as its predecessors. It's, however, more compact with a wheelbase of 6.4 inches and a length of 7.2 inches. Just like the other models, it's also lighter in weight with about 700 pounds and this improves drivability and efficiency on the road. GMC has modified the new model with some modernized exteriors and some softer edges. Its cabin has received some transformation that has added the much awaited android auto and infotainment systems with Apple CarPlay. While using the third row of the 2019 Acadia Black model, you can only stack about two carry-on suitcases in the cargo space. The cargo space can be more spacious if the second and the third-row seats are stowed and this can accommodate up to 28 suitcases at a go. Which Engines are Available for the Acadia? The 2019 Acadia SLT-1 comprises of a standard 193 horsepower with 2.5-liters cylinder engine fitted on a six-speed automatic transmission. Another notable feature of this model is that its terrain standard engine has a 170 horsepower and 1.5-liter four-cylinders that are linked to a super nine-speed auto. The cylinders are also turbocharged. The SLT-2 trim can be also an option and it comes with a much bigger 3.6-liter V-6 unit that can produce up to 310 horsepower. The torque of this model is about 271 pound-feet. 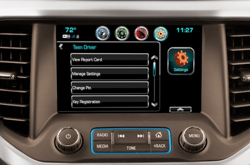 The 2009 Acadia black edition is bold and strong and is filled with various security features. The SUV is built with everything starting with some sleek LED lightings to USB ports all around the cabin. Most of its impressive security features make it one of the best family car. The model comes with driver-assisted technologies and lane change alert works. This is enhanced by exterior cameras that detect various obstacles around the vehicle. The vehicle has a rear park assist and a rear vision camera that helps the driver when engaging in a tight parking space. Once the camera detects an obstacle, it sends a sound warning to the driver. The rear vision camera is another important tool when driving reverse. It provides a clear vision of what's behind the vehicle. 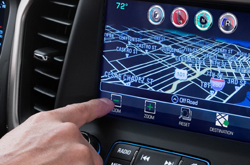 Although some of these features are also in the other models, the 2019 Acadia model has a rear cross traffic alert which warns the driver of pedestrians behind the vehicle. This makes the car not only safe for the driver, but also to other road users. 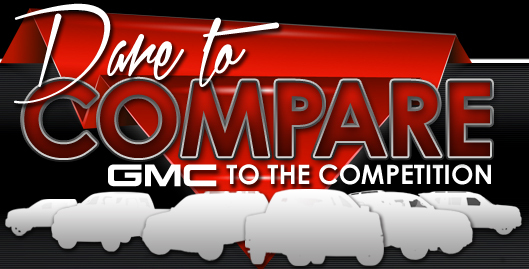 If you are interested in taking a test drive, visit Husker GMC in Lincoln today!